2. Make dough by mixing all the above ingredients, water and 1/2 teaspoon of oil. 3. Roll into a paratha. 4. Heat the pan, smear it with oil and place the paratha on it and cook. very healthy and interesting parathas..
Love these health recipes... great use of barley! Paratha with barley ..sounds interesting..
Thats truly awesome, even i love to add barley flour in my parathas. 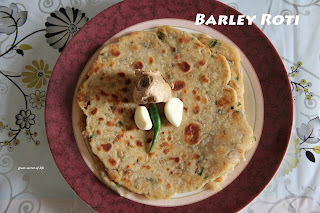 Good collection of variety of parathas and Barley Paratha recipe made very simple. 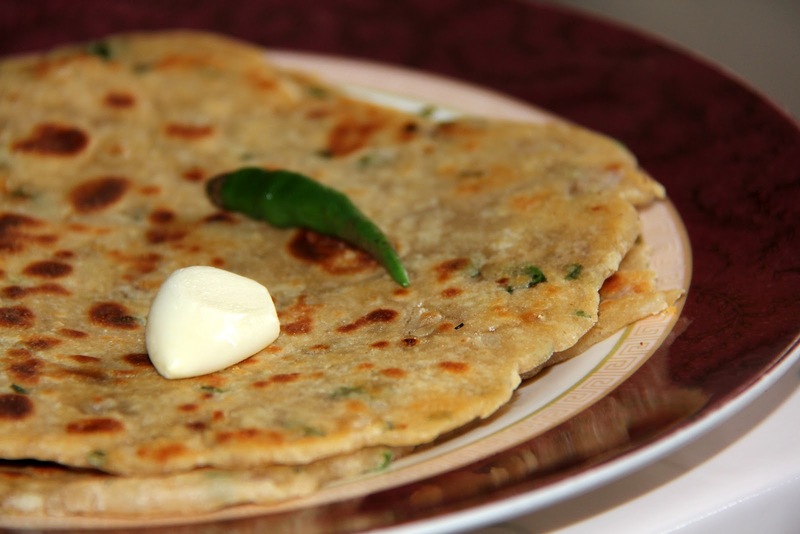 Different taste of Palak Paratha or Spinach Paratha recipe and its very healthy food. Thanx for sharing. This is very good and healthy recipe. Hi there! What is the suitable substitute for wheat flour? Hope to hear from you. Thank you. Will try this recipe this weekend. thanks for sharing.